The Humanities faculty provides a range of teaching experiences and new programs to encourage students to be active learners who adopt critical thinking in their studies. The Humanities faculty is committed to developing a growth mindset in all students where they see intelligence as able to be developed, rather than as static. We encourage students to embrace challenges and persist in the face of setbacks to achieve higher levels of achievement. The faculty covers Geography and History subject areas. These subjects teach the girls about how the environment and people have influenced the human story. Both subjects share a passion for understanding and debating the causes and consequences of events. In Geography, the teachers and girls explore the complex relationship between the physical environment and the human story. The subject is focused on how the environment shapes our world. Geographers then consider the way that environment will evolve and how it will impact on the human story. In simple terms, the environment affects people and people have impact on the environment. Geography is a subject that investigates issues about the earth’s sustainability and questions the practices that human activities have created and visited on the environment. Geography examines economic activity, social behaviour and political decisions. The natural environment affects us all so profoundly that the discussion about key issues makes for a lively class environment. The subject interests the girls because it refers to practical examples that are relevant to modern life and combines the ideas and wisdom of many areas. Many parts of our economy value the development of geographic thinking and the subject has relevance to tertiary courses and future business opportunities. Year 12 Geography class visited Binna Burra Mountain Lodge, located within the World Heritage-listed Lamington National Park, to study the biodiversity of the region. The day involved surveying three sites within this forest environment to collect primary data to assess the biodiversity present at each location. In History, we study the events, issues and people from past communities. The subject centres on lively debate about the causes of ‘matters that matter’ (to us). We select issues from history to ask questions that are meaningful to our lives today. For example, there are discussions about justice and the use of power. The subject deals with the dilemmas of why events happen, who should be held responsible and what are the consequences of given events. This is a complex subject because it is about real people’s lives and real events. The subject develops research skills, values empathetic thinking and critical judgement. Debate within history classes and between historians is inevitable and this provides spirited energy to the subject. The German historian Marc Bloch described the subject as one that feeds intellectual passions because it was about, ‘living societies of the past’. The girls learn to debate ideas, write clearly their perspective and to use the historian’s craft to work logically through evidence. In the senior years, the girls have the choice of reflecting on subject matter that is modern (mainly 20th century) or from the ancient world. History is a subject widely valued in tertiary studies and in many occupations. The legal world is an example of an area of work that uses the skills and attributes nurtured by this subject. 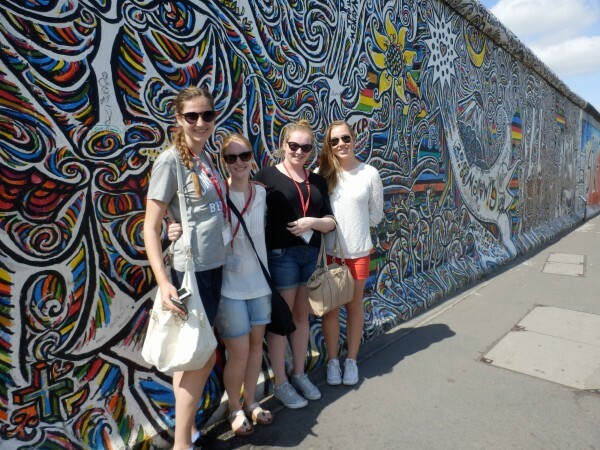 Twenty-four Modern History students and five teachers enjoyed a 19-day History tour of Germany and Poland in the mid-year holiday break in 2013. 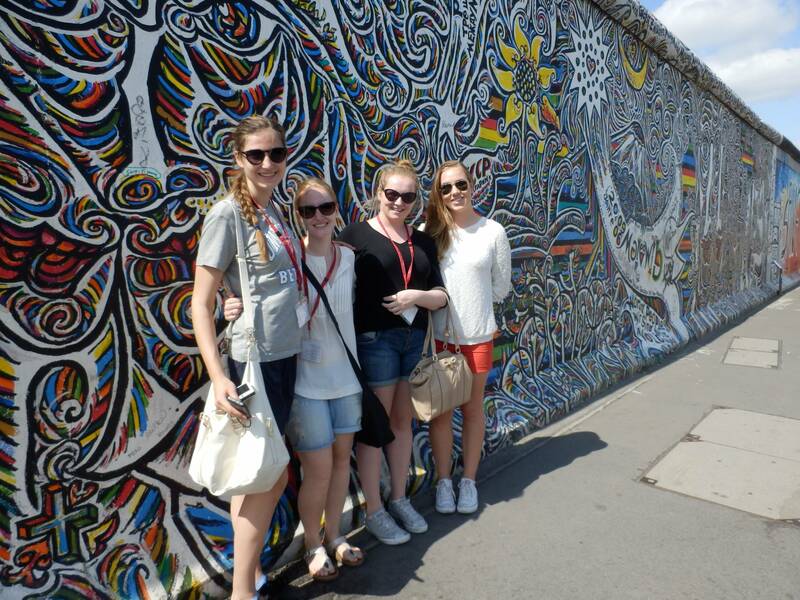 We travelled to Munich, Nuremberg, Leipzig, Krakow and Berlin, following a path of German history from 1918 to 1989. Our focus was a study of the impact of the Nazis as well as the effects of the Cold War on Berlin in particular. Our first stop was Munich to see the city where the forerunner to the Nazi Party was formed in 1919. Naturally, there is much more to discover about the city and the students were impressed with the central square, the Marienplatz and the Viktualienmarkt, the wonderful food market. 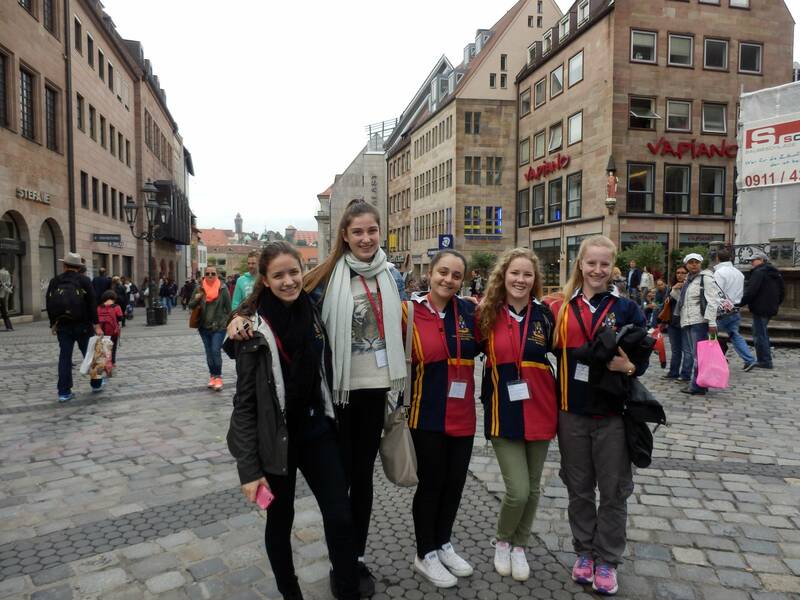 We spent a lot of time walking around the city, learning more about its medieval past as well as the recent history. One significant site visited was Dachau, the model concentration camp set up in 1933, six weeks after Hitler came to power. In Nuremburg, we toured the Nazi Party Rally Grounds and the courtroom where the Nuremberg Trials were held at the end of World War Two. Standing where the Nazi leadership stood in the rally grounds was quite an experience! We also spent a lot of time walking around the old city of Nuremberg with its impressive city ramparts and markets in the central square. Next we visited Leipzig where our Cold War studies started. Here we toured the headquarters of the East German Stasi, or secret police. This museum is run by a committee of local residents who have preserved the building as the Stasi left it. We travelled next to Krakow in Poland to visit Auschwitz. We were able to tour Auschwitz I, the main camp, where many of the old buildings are used for museum exhibits. At Auschwitz-Birkenau, or Auschwitz II, we were able to understand the physical enormity of the camp and more of the horrors of trying to survive in such a situation. Viewing the remains of the crematoria was a very solemn moment. Our last stop was Berlin. Here we spent six nights as there was so much to see related to our studies. History highlights were Hohenschonhausen, the former Stasi prison, the remnants of the Berlin Wall and some of the amazing museums of Berlin such as the Topography of Terror and the Pergamon. A cultural highlight was viewing the contemporary art works at the Bunker. Our visit to the Dome of the Reichstag at dusk afforded spectacular views of Berlin. During the tour we all enjoyed different cultural experiences, especially related to food. Breakfast was quite a substantial meal and it took time to get used to. Schnitzels and wurst were also consumed in large quantities. Chocolate and pastries were in abundance and significant quantities were enjoyed. Considerable time was also spent at the Ritter Sport chocolate shop in Berlin. The success of the tour relied upon the good humour and involvement of the students who willingly embraced all opportunities to learn more about the history and themselves. 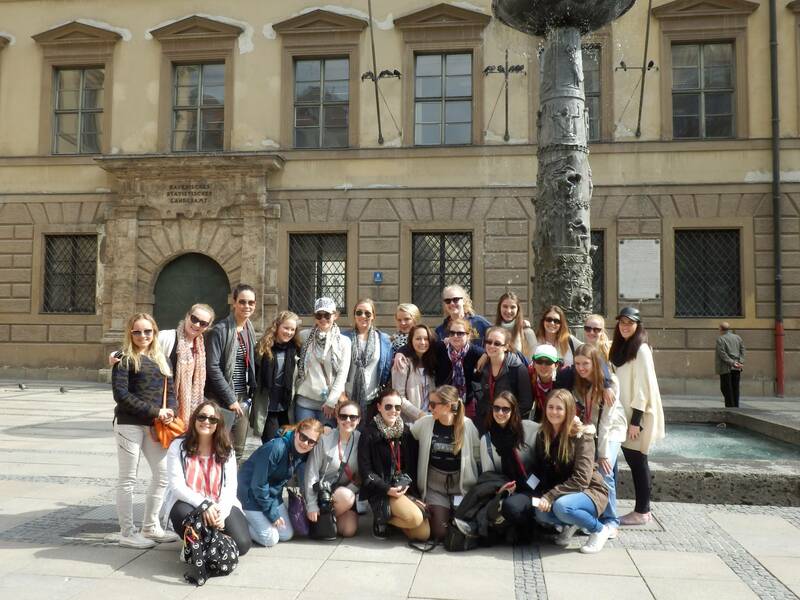 The tour group was willing to work together and walk for kilometres in an effort to enjoy the different experiences and the German history and culture. 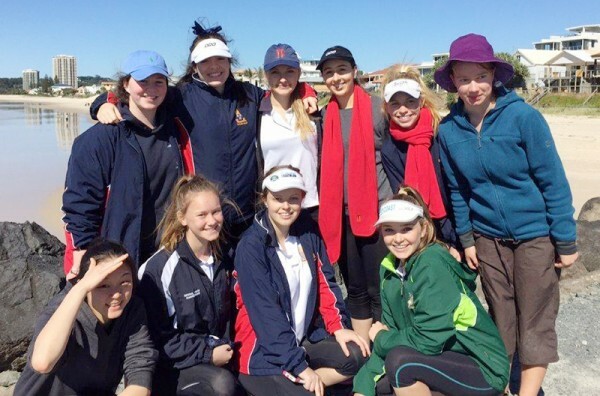 St Hilda’s students perform well in the annual Queensland History Teachers’ Association Writing Competition. The following essay, by Laura Nicholls, received first placing in the Year 11 Modern History section. Why did Kennan’s ‘Long Telegram’ impact US foreign policy from 1946 to 1950? During the beginning of the Cold War, George Kennan’s ‘Long Telegram’ had a major impact on the U.S foreign policy from 1946 to 1950. The detailed nature of Kennan’s knowledge allowed for a very informed decision-making process when attempting to combat the threat of the Soviet Union. The justification provided by Kennan’s analysis ensured that an enthusiastic and proactive response was adopted by influential U.S. officials. This essentially allowed for the promotion and legitimisation of Kennan’s propositions. Kennan’s concepts were in accordance with the public image of Stalin, creating legitimate background and support for Kennan’s analysis of the Soviet Union. Hence, the impact of the Long Telegram on U.S. foreign policy from 1946-1950 was largely due to the detailed nature of his work, the justification he provided in terms of the U.S. stance against the USSR, and the correlation between Kennan and Stalin at the time. The detailed nature of Kennan’s knowledge allowed for a very informed decision-making process when attempting to contain the influence of the Soviet Union. According to Isaacs, an historian, the initial purpose of the Long Telegram was to provide clarification on Soviet thinking after Stalin’s ‘warlike pronouncement’ in Feb 1946 (Isaacs, J., p 29). Kennan warned that the Soviets were driven by a permanent sense of insecurity, and that their communist outlook was fiercely anti-capitalist and hostile to the west (Briggs, p 15). He believed that “The USSR still lives in antagonistic ‘capitalist encirclement’ with which in the long run there can be no permanent peaceful coexistence” (Kennan, 1946). This confirmed belief that the Soviet Union wanted to initiate war, hence prompting the U.S. into action. Historian William Pietz alleged that in composing the telegram, Kennan had to take into account the audience he was addressing and shape his arguments into the most effective language possible (Pietz, p 132). While some may use this to argue against the reliability of Kennan’s assessment, his intent was to have his message received as effectively and influentially as possible. He states, in introduction, that “Answers to Dept.’s 284, Feb 3  involves questions so… important to analysis of our international environment that I cannot compress answers… without yielding to what I feel would be… over-simplification” (Kennan, 1946). The conscientious approach Kennan undertook enabled him to present the most justified and strategically planned assessment possible, in order to assist the U.S. According to historical educator Rahim, of the Pakistan Institute of International Affairs, the Long Telegram filled a ‘conceptual gap’. He believes that it was “…the first lucid, extensive analysis of why the Soviets were unlikely to cooperate with [America’s international agenda]” (Rahim, p 82). This clearly displays that Kennan’s analysis was invaluable to the knowledge base of the U.S., and, in turn, contributed to the decision-making process of U.S. foreign policy. The justification provided by Kennan’s assessment of the USSR, ensured that an enthusiastic reaction was adopted by U.S. officials. This allowed for the promotion and legitimisation of Kennan’s analysis. Historical educator Briggs proposed that Truman and his administration were looking for validation to initiate a stance with the Soviet Union, and Kennan’s telegram gave them the ammunition required (Briggs, p 15). Smith, an historian, supports this view, stating that the Long Telegram further solidified Truman’s hatred of communism and his resolution to not allow it to spread (Smith). This highlights the impact the telegram had on Truman’s opinion of the USSR. Kennan was careful to make specific reference to a speech presented by Stalin in 1927, to a delegation of workers, where he states “…battle between [the U.S. and the Soviet Union] for command of world economy will decide [the] fate of capitalism and of communism in [the] entire world” (Kennan, 1946). This displays the insistence with which Kennan presents Stalin’s opinion of Capitalism. Although Smith believes that the U.S. leadership was already primed for an all-out war on Communism and expansionism, it is clear that Kennan’s assessment and persuasion was what was needed to take action. Kennan’s resolve for improvement is prominent as he states that the Soviets were the weaker force, still to prove themselves (Jina, 2013). Rahim comments that by the winter of 1946, relations between the U.S. and USSR had deteriorated to the point when Kennan’s gripping dispatch suddenly appeared in a new and favourable light (Rahim, p 82). This is made clear by James Forrestal, the U.S. Secretary of the Navy at the time, who appreciated the masterly images of Soviet-American relations in the Long Telegram, and had it reproduced in large numbers for the edification of military personnel (Rahim, p 81). Therefore, the enthusiastic response adopted by U.S. leadership highlights the impact the Long Telegram had on foreign policy, in regards to the justification Kennan provided on the containment of Communist principles in society. Kennan’s ideas and propositions regarding the Soviet Union were supported by the image and movements of Stalin at the time. The linkage of ideas between the two, further increased the value and importance of Kennan’s ‘Long Telegram’, and the impact it had on U.S foreign policy. The views that Kennan had towards Stalin were cohesive with Stalin’s public speech of February 1946, before the Long Telegram was despatched. Stalin claimed that capitalism made war inevitable, stating “The development of world capitalism proceeds not in the path of smooth and even progress but through crisis and the catastrophes of war” (Isaacs, p 29). According to Isaacs, this speech caused great alarm in Washington. ‘Time’ magazine said it was “…the most warlike pronouncement uttered by any top-rank statesman since V-J Day” (Isaacs p 29). Paul Nitze, a policy advisor in the State Department, supports this view, pronouncing the speech akin to a “…delayed declaration of war against the United States” (Isaacs, p 29). This is clearly reflected in the Long Telegram, where Kennan states that Russia was determined to… wage a relentless battle against western leaders, even if this meant an imperialist war (Clare, 2002/2014). Inevitably, the correlation between Kennan and Stalin assisted the enthusiastic response to the Long Telegram, as it provided an opportunity for people’s fear and speculation of the Soviet Union to be confirmed. George Kennan’s ‘Long Telegram’ was influential towards the U.S. foreign policy during the early years of the Cold War, from 1946 to 1950. Kennan’s detailed analysis of the Soviet Union ensured that the U.S. was as informed as possible when combatting Soviet Union. Kennan’s analysis also provided ample justification for a proactive response on behalf of influential leaders at the time. Through their enthusiasm, Kennan’s ideas, predictions and propositions were legitimised. Lastly, the concepts and suggestions offered by Kennan, were supported by, and in accordance with, the movements and public appearance of Joseph Stalin at the time of the despatch. This further increased the validity of Kennan’s work, ensuring that the impact of the Long Telegram was substantial. Hence, due to the detailed nature of his work, the justification he provided in regards to the Soviet Union, and the legitimisation and support provided to him by other significant individuals, the impact of the Kennan’s ‘Long Telegram’ on U.S. foreign policy was great. Briggs, J. (2006). The Cold War. Sydney: McGraw-Hill. Isaacs, J., & Downing, T. (1998). Cold war: An illustrated history, 1945-1991. Boston: Little, Brown &. Waugh, S., & Wright, J. (2009). Peace and war: International relations 1945-1991. London: Hodder Murray. 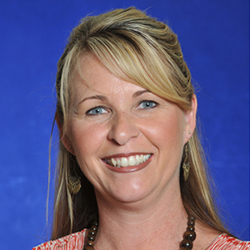 Head of Faculty Katrina Wain holds a Bachelor of Arts and Diploma of Education from the University of Sydney, a Master of Arts (History) from the University of New South Wales and a Master of Education (Educational Technology) from the University of Southern Queensland. She began her career in 1984 at The Scots College, Sydney, and moved to SCEGGS Darlinghurst in 1988. Katrina co-authored HSC history textbook, Problems and Issues in Modern History, published in 1994. In 1996, she moved with her family to Brisbane and taught at Brisbane Girls’ Grammar School, where she became involved in using technology as a learning and teaching tool. In 2004, Katrina was appointed Head of Humanities at St Hilda’s School. She has been involved in the development of Humanities programs, including a Philosophy program for Year 10 students. 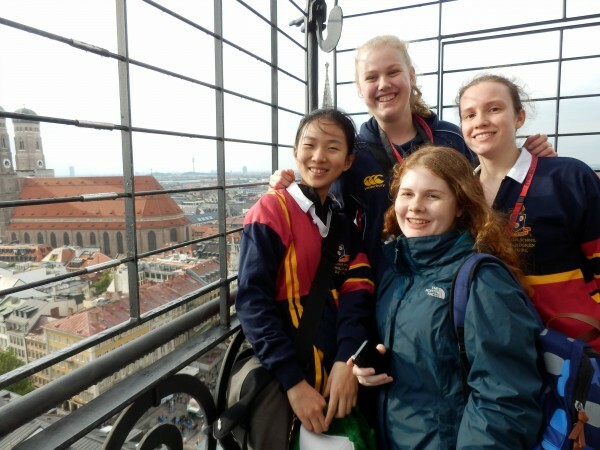 Katrina loves teaching and learning about Modern History and has enjoyed leading History tours to Europe. Katrina was awarded an Athena Fellowship in 2008. 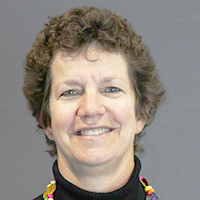 Mary-Elizabeth Nash holds a Master of Education (Educational Management) from the University of Southern Queensland, a Bachelor of Arts from Monash University and a Graduate Diploma of Education (Secondary) from the Australian Catholic University. She also holds Certificates IV in Training and Assessment, Careers Development and Christian Ministry and Theology (Foundations). 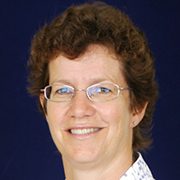 Mary-Elizabeth began her career in 1992, teaching in private girls’ schools in Melbourne. In 1996, she moved to the Gold Coast taking a role at Aquinas College, where she held a number of positions over the next 15 years. These included Year 8 Coordinator, Middle School Coordinator and Assistant to the Principal – Administration (Head of Curriculum). During this time, Mary-Elizabeth presented sessions at conferences on Middle School Management, Whole School Literacy and Numeracy programs, and Teaching Excellence. Mary-Elizabeth returned to the classroom following her appointment to St Hilda’s in 2012. She is a dedicated educator who supports individual academic success through a student-centred approach and learning enthusiasm. Natalie Cooper is Head of English and an experienced educator with a passion for English and History. She holds a Bachelor of Education from Sydney University and a Certificate of Religion, Catholic Education Office, Parramatta Diocese. Her career began in 1993 as a teacher of English, Humanities and Religion at Nagle College, Blacktown, New South Wales. When the college expanded to incorporate senior classes, Natalie was involved in developing and teaching courses in Ancient History and Studies of Religion. Between 1995 and 1998, she undertook the role of History Coordinator, followed by Head of House at the school from 1996. 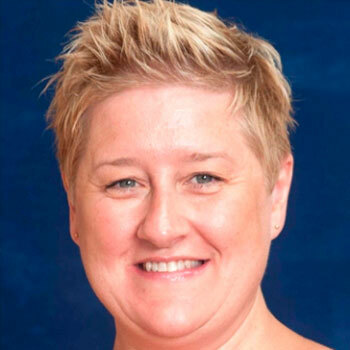 In 1999, Natalie started work at Marist Sisters College, Woolwich where she was involved in the implementation of the new NSW syllabus for her subject areas. She was an HSC marker, CEO Audit team member and was appointed Head of English in 2001. 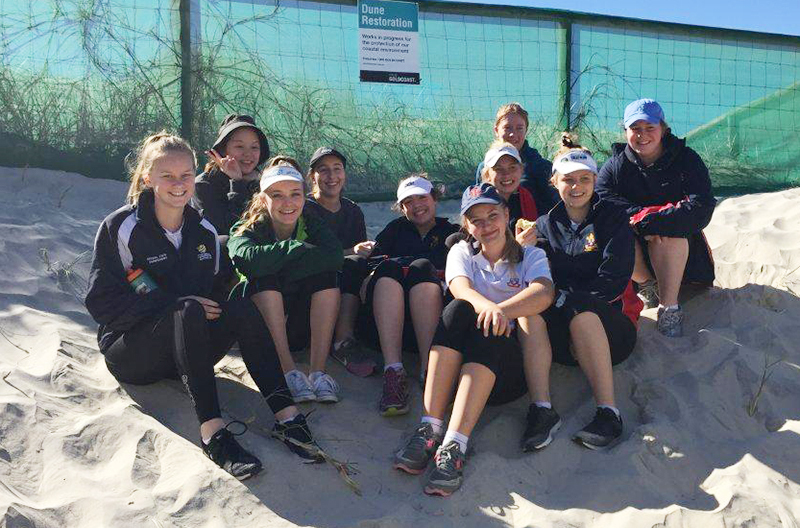 Natalie relocated with her family to the Gold Coast in 2009 where she began teaching English and History at St Hilda’s School. In 2015, she was appointed Head of English.